I Got the World on a String, Sitting on a Rainbow…What a World, What a Life, I’m in Love! Expectations, the word or more importantly the concept, can be a driving factor of one’s outlook on life. The dictionary defines expectation as, “a strong belief that something will happen or be the case.” We are all guilty of having expectations of ourselves, others and life and then by human nature allow an unfavorable outcome to bring us unhappiness. Shawn Achor writes in the Happiness Advantage, to often we think happiness will occur once we reach a goal or a milestone. I believe at times, our level of happiness can be in direct correlation with the outcome of our expectations related to our beliefs. When I embarked on this journey I didn’t have a clue of what to expect. My lack of looking forward was hindered by fear that the experience might not happen. (I had previously gone through this process, only to have it cancelled a couple months prior to departure.) Concepts were developed from photos by past participates and stories, but my mind was a blank slate. As I write today, four weeks into this adventure my lack of expectation has turned into a self-awareness of the world. The world has literally shrunk since I departed 4074 Willow Creek Road. From the food choices, to travel options, to the many origins of people residing in Adelaide, the world is literally just sitting on a string outside my apartment door. Why you might ask? I have my theories, but basically it comes down to the fact that people don’t move to Australia to become Australian. It is okay to maintain your cultural heritage; actually it is celebrated and encouraged. But more intriguing is the fact that I find myself venturing out into that world. I know I have many friends and family who don’t always “get” my ability to do things alone. Here, I find myself not only journeying out alone, but also trying new things. There is no comfort zone. (Well yes I do have Mother Vine) But from my backpack to my metro card, to visiting museums and sitting in a garden and working on my laptop, these activities are more foreign to me than any country. And the most surprising outcome that has exceeded any expectation, I LOVE it. Don’t get me wrong; I am not packing my bag once I am home and hitting the open road as a hobo. But the idea of living somewhere else and experiencing new people and places a couple months a year would be truly blissful. Life is a beautiful thing, as long as I hold the string, and trust me that string and I are going to be life long travel partners. And of course my backpack! At the request of my mother, who basically said she could see cows, vineyards and wine at home, I am focusing on the wild life I have observed while abroad. 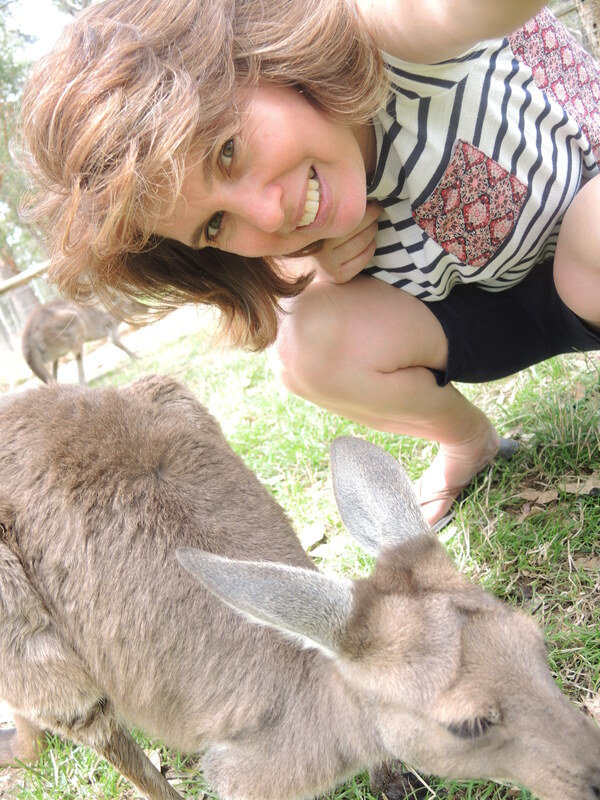 There is no better way to share our trip to Kangaroo Island, Cleland Wildlife Park, and the urban jungle of Adelaide, than relating it to a childhood friend. Winnie the Pooh and his stories were a daily part of my life as a little girl. My brother John did not only have Pooh in eye-sight at all times, but our grandmother made sure that Pooh had special clothing, just like our dolls. He went on all our daily adventures and was the chief operator of the Tonka dump truck. Today marks my brother’s 45th trip around the sun, dollar to doughnuts; he still has Pooh wearing a custom pair of bib overalls within eyeshot. 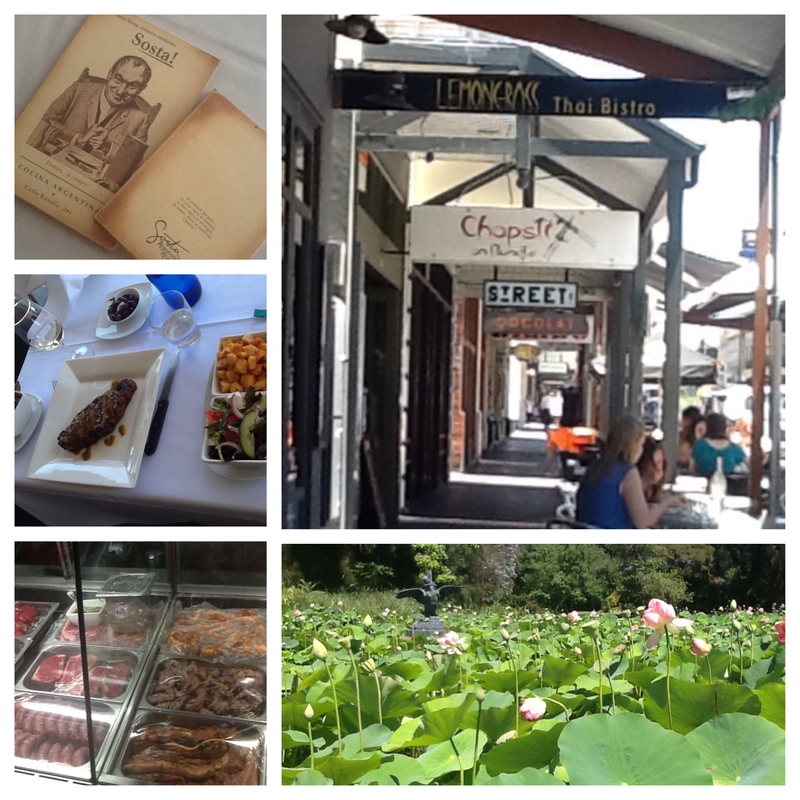 Deep in South Australia we have discovered many enchanted neighborhoods. Kangaroo Island (KI) is Australia’s third largest island and features many nature reserves to protect the remnants of its natural vegetation and native animals. The largest and best-known being Flinders Chase National Park at the western end, where we actually relived the days of summer camp on an overnight adventure on a working potato farm. I can honestly say that wildlife in South Australia resembles nothing of California, let alone San Luis Obispo County. KI lived up to its name and gave us our first sighting of Kanga, Roo, and their entire family tree. The first time one hops past you, it is an emotional moment that you can’t help but cheer “I saw a Kangaroo”. By the time you have seen your 100th they loose their glamor. They are not popular amongst the wheat and cattle ranchers. Kangaroos can best be described, due to their crop damage and large populations, as nothing more than squirrels. They are hugely over populated, primarily due to the fact that they have no known predator. The come in all sizes and shades of grey and brown. What fascinated me the most were their legs. They are set in a perfect 90-degree angle. I also ate Kangaroo for the first time this week, but I digress. While on KI we took in a bird show at Raptor Domain. And Pooh’s old pal Owl was visible in the likes of the most beautiful and noblest birds. For the record, I don’t know if it is that I really don’t pay attention at home, but there are birds everywhere in SA. And they come in all colors, shapes and sizes. They can be a little noisy, but how often do you see wild parrots just hanging out in your corner park? Our final stop before boarding the ferry was Clifford’s Honey Farm. From the honey ice cream to the tastings of fresh, pure Ligurian honey, it was a dream come true for any pooh bear. I purchased some honey that was packaged, of course, in a plastic koala bear bottle. If Winnie the Pooh walked into this store he would never fit back through rabbits doorway. And that brings me to the long eared creatures. They really don’t have rabbits in SA and they truly don’t want any showing up on KI. The ferryboat forbid the following items, foxes, rabbits, potatoes and honey to be brought onto the island, (because who doesn’t travel with a fox all the time?) Furthermore when we visited the Haigh’s Chocolate Factory they were making Easter treats. In South Australia the bilby is the critter that comes in chocolate form. No biting off the Easter Bunny’s chocolate ears, these little creatures are more guinea pig like in appearance, with a rat nose. Pooh’s best pal piglet can best be found in the likes of Truffles, Oliver, Augusta and Horatio. Officially known as ‘A Day Out’, these life size bronze hogs are depicted in lively poses just as they were strolling the streets and greeting shoppers. They are my favorite part of Rundle Mall and make me smile. If one is in search of bouncing cats, SA will leave you disappointed. There are no large cats, only feral felines that roam wild and cause their own set of issues. I have a few amazing feral cat stories, but will hold off as not to offend my cat loving friends. However hope is not lost, I have seen Tiger and he is alive and well and living in the body of one of the Wine and Vit students. Kevin is tall and thin and basically bounces from location to location. I have had to use my mom voice on him more than once and say “We don’t have time to go to the emergency room today.” He lack of fear is only out done by his zest for life. Sadly, the only Pooh pal I haven’t ran across is Eeyore. I have not spotted a horse, donkey or a person with a gloomy out look on loosing their tail. However, there are still many creatures that our unique to SA. 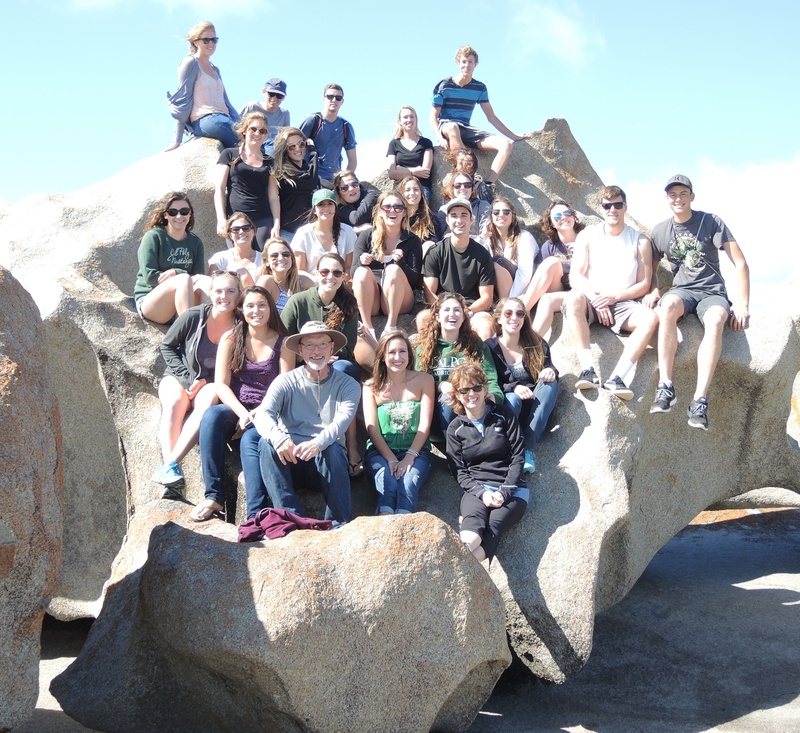 We have been lucky to see a wombat, echidna, dingos just to name a few. And then finally our friend Winnie the Pooh, well if you don’t think Koalas are the most precious thing in the world, phooey on you. From seeing them in the wild with their babies to actually getting to hold one, they truly represent why Australia’s wildlife is vastly different than America. They sit in eucalyptus trees all-day, chewing on leaves or napping, they just are willy nilly silly old bears. Obviously there are no Heffalump or Woozleis here in Australia; they can only be seen in Winnie the Pooh’s dreams. But some of the critters we have run across are very confuzle. First Kangaroo sighting on farm. We thought for sure this male would scatter. Instead he layed down and allow his photo to be taken. Kate & Lauren with white owl. Honey farm, yummy for your tummy. I just adore these pigs! Tiger head first with no board, need I explain more? favorite day of the week in Australia. Why, you might ask? Moments like this make me stop and wonder, wh y can I never do this back home? The longer I am away, the more simplistic life becomes. Yes, I have had days that are spent in my apartment on my computer making sure my bases were covered. And to add to the baseball metaphor, my dad would be so proud, I do manage to not drop any balls hit in my direction. Yet without a list, agenda, and deadlines there seems to be so much more to experience on Mondays. Today, I had a 2:30pm meeting at the National Wine Center, which required me to stroll through the Botanical Gardens. WOW, how peaceful and grounding is that little oasis in the middle of Adelaide. And before well one should have lunch, why not try another cuisine from around the world. Argentina and beef sound amazing. My Monday was all I hoped it would be, and then more. And the students found a fabulous pizza place that you get a whole pie for $6 on Monday nights, watch out stomach. 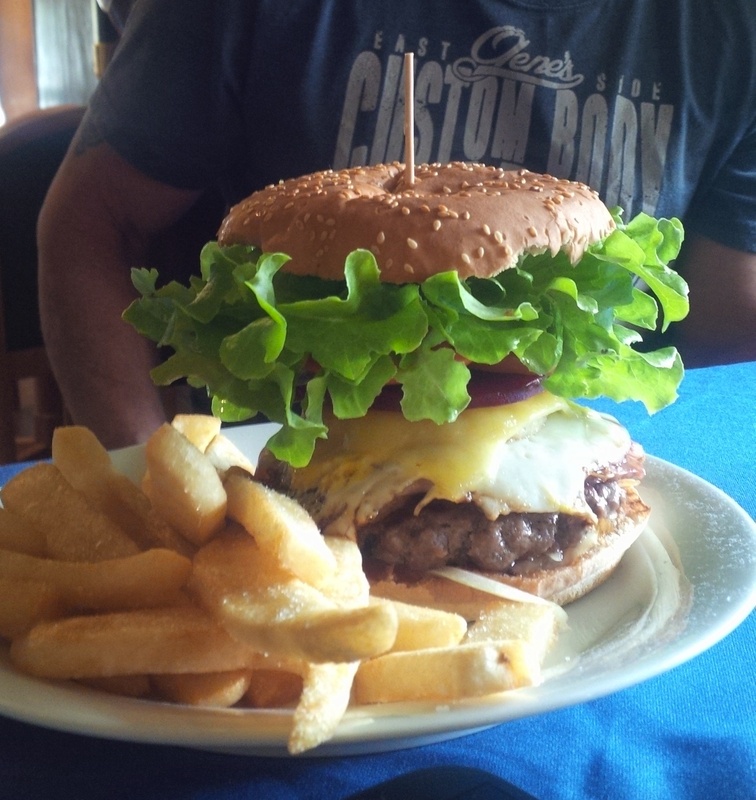 Cheeseburger complete with bacon, beet, pineapple and a fried egg. This week our preplanned class adventure, as they would say in MLB, was postponed due to a rain delay. Seeing an opportunity to check off the list his 463 day, Jordan stepped forward. With a few hours to prepare, he planned the class on the fly so to speak. He quickly booked us a tour of a chocolate factory and let the rest fall into place. When we quizzed him over lunch of our theme for the week he carefully thought and replied, family traditions and things that remind you of home. For his family has a tradition of having lunch and then going out for chocolates. This struck a cord with me in many ways. First Jordan reminds me of Nolan. So right there he reminded me of home. And his willingness to wing an adventure with the full confidence of a peacock is oh so my son. My post this week reflects once again on my stomach. As the saying goes “home is where the heart is”, and one of my true loves is food. I have to say my diet and eating habits have changed dramatically since my stay down under. Living by myself and trucking my groceries by hand has minimized my shopping experience. My apartment meals consist of fruits, vegetables, cheese and believe it or not peanut butter. I eat out maybe once every day with the leftovers finding there w ay back to my frig for the next day’s meal. I don’t lack for variety as the world is my menu. But I do find myself craving beef and what is better than a burger. At home I live for BBQ style patties complete with avocado, purple onions and home grown tomatoes cooked medium rare. Here burgers are all cooked medium and come with an assortment of toppings that slightly resemble my state side creations. Aussies are big on their red sauce, aka ketchup, but after that there is no norm to toppings. I have even discovered a cheeseburger complete with beets, pineapple and a fried egg. I have learned from this experience is that we are all cheeseburgers with our basic ingredients, but it is fun to switch out our “toppings”. Being here has forced me to be my own self motivator. There is no one counting on me for a meal, clean laundry, or to take them to town. I have to be so self driven. I get it, that sounds hilarious, but it is so much harder than it seems. So I have decided that the “toppings” are what makes each day special and different. It increases my yearning to go out and explore. My daily tasks are more easily accomplished. And if I fit in a new location to eat a cheeseburger, well even better. Australia has been a lovely experience that borders on paradise. It is quickly becoming my new happy place, giving Maui a run for its money. I can have one hell of a Mai Tai at Cheeseburgers in Paradise on Front Street, (Brandy knows) but the toppings just aren’t the same. “Makin’ the best of every virtue and vice, Worth every damn bit of sacrifice to get a, Cheeseburger in paradise”. Thank you Jimmy Buffet for reminding me of something so simple. While I waited to depart LAX over a week ago I started to have a small anxiety attack. What in the world was I doing, moving across the world, away from my family and everything I knew to be normal. Had I lost my mind? A few tears later and a phone call home, I boarded the plane with more worry than wonder racing through my head. The hectic experience of flying 15 hours, going through customs and transferring to a domestic connection only escalated my thoughts of I am so alone and so far from home. Once landed in Adelaide, I gathered my bags and rolled out to the curb in search of a cab. Easy to locate, yet so different from home I watched the driver climb into the right side of a vehicle and departed on opposite side of the road. But then it happen, the radio came on and low and behold I hear “Nice to meet you, where you been? I could show you incredible things”. It was the song I wake up to every morning that Lilly blares from her room. Maybe I am not that far from home, Taylor Swift is singing to me. 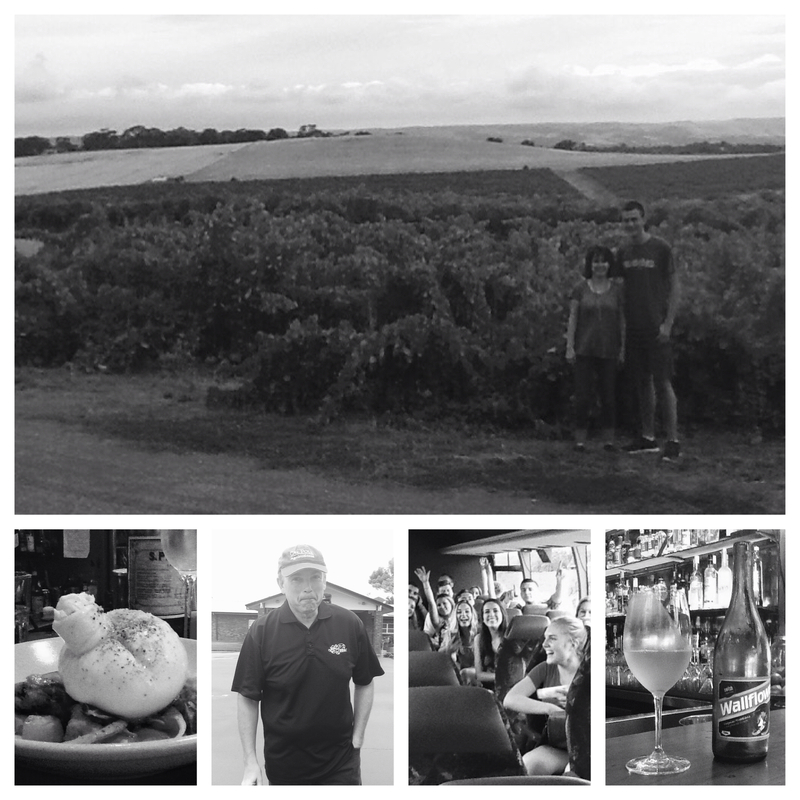 Highlights from our week – A field trip to McLaren Vale wine region and some fun food & wine around town. After ten days of living in another country, I have come appreciate a few things. The more I embrace my local environment, the more I discover, as much as things are the same, they are different. This week we started class and I have challenged the senior project class to discovery their selves and the world of agriculture. Each of them will plan a class and select a theme of our learning adventure. I decided we should visit the local grocery store and reflect back to their AGB 101 projects. We examined agriculture commodities, as well as, the marketing efforts compared to California. The Australian love of farming and food is apparent with a simple stroll down the shopping aisle. Food is just one element that has been adjustment in my everyday life. Here are just a few daily activities that I have found similarities with a twist. 1 – Grocery Shopping – There is vast array of lovely fresh produce and fruit. A huge advantage of experiencing summertime is the bounty of harvest goods. However, deciding if the price point is comparable is a lesson in mathematics and a strong knowledge of the metric system. Selection and sizes of various products are limited. Yet, you need to make sure you bring your own bag, just like home. Which brings me to the next topic transportation. 2 – Transportation – I live in a city. I basically walk everywhere, including the grocery store. So shopping is limited to what I can carry home (bag or no bag). And let me tell you, liters of water are heavy! So to adapt to my new city life I purchased a backpack. It is beyond handy and quickly making my daily trips so much more enjoyable. 3 – Weather – It is summer time. I am a north county girl. Bring on the 100 plus degree-days, but can the nights please cool down like at home? Did I happen to mention the weather is in Celsius? Once again bring on the math and conversion table. Today we are dealing with rain and 14C, and the occasional thunder storm. 4 – The Perfect Bite – In my daily quest for the perfect bite I did struggle during my early days abroad to find that café, restaurant, wine bar that fit my tastes and preferences. In Adelaide you can find any type of food you desire from India, China, South America, Turkey, Italy you name it, there is a dinning opportunity. I am happy to report I have tried new dishes and old favorites with great success. And the wine is a selection of Australia and European classics. So as I stroll down Rundle Mall, backpack in tow and I start to think how different my life is here in Australia, I will pass a shop and hear “Grab your passport and my hand, I can make the bad guys good for a weekend”. The Taylor Swift Discovery brings a whole new perspective to having some blank space to fill with new experiences. January 1, 2015 came into my life not only a day early, but in an entirely new country. Feeling under the weather and out of place was not the perfect start to any day, much less a new year. I had great expectations exploring my new surroundings. But instead a cold and time confusion filled my head. Luckily my apartment came equipped with everything I needed for a nice cup of tea (complete with a tea pot), so I headed back to bed with drink in hand and my laptop. I decided to stop fighting the feeling of disappointment and focus on getting well. I settled on renting a movie on iTunes, instead of an afternoon stroll through my new neighborhood. What movie struck my fancy? Begin Again, the title alone fit the theme of the day, and being a believer in “signs”, it was the obvious choice. Yes I enjoyed the movie and I am starting to get my bearings back in place, but what really struck a cord with me (musical reference, I am so tricky) was the final scene. Featuring the song Lost Stars, the words just woke me up, literally. I replayed it four times and then went searching on line for the lyrics. Each New Year I make a list of accomplishments I would like to achieve. Not so much resolutions, but simple to extreme changes or actions I would like to conquer in the coming year. I recently read an article by Cheryl Richardson that suggested instead of “goals” we should write a prescription to allow ourselves to do something different. As I sat there and listen it dawned on me that we should treat everyday as if it was New Year’s Day. The words from the song were telling me to start this year off differently. They were giving me permission to veer from my normal path and begin again. And that everyday we have the option to choose what wonderment is out there to experience. Maybe a little less worry and a little more wonder. How about replacing confusion with exploration? And a big dose of belief to replace doubt. Yes, this year I am not going to set goals or write a prescription, but more like a recipe. 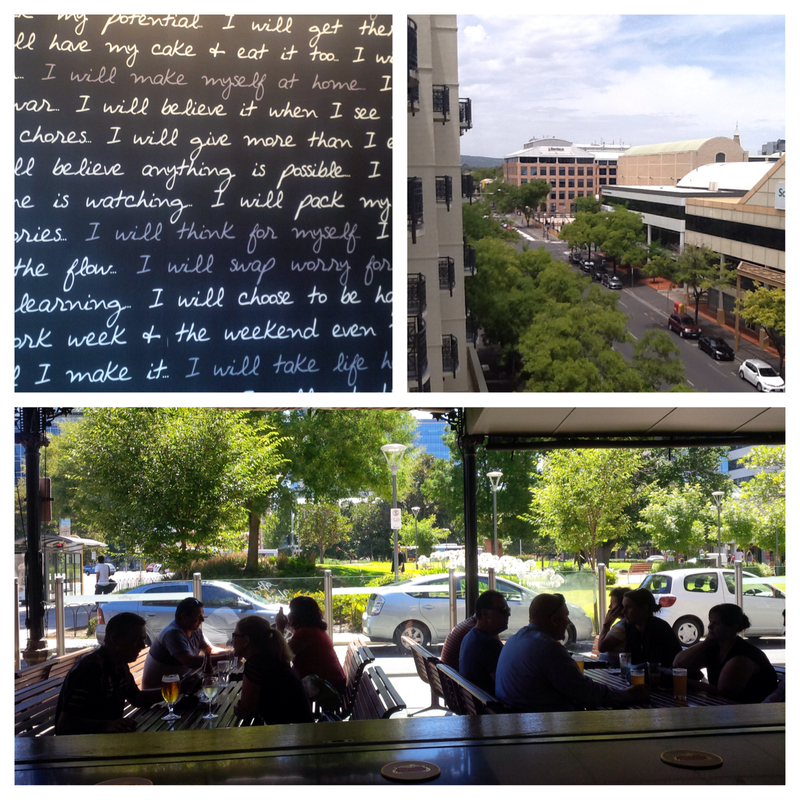 Just a few photos of my new surroundings. The next couple of months I will be living in South Australia. I can assure you that I will be a much better blogger during this time, as I made it a teaching assignment. I can’t wait to share my experience and maybe a few posts from my students.